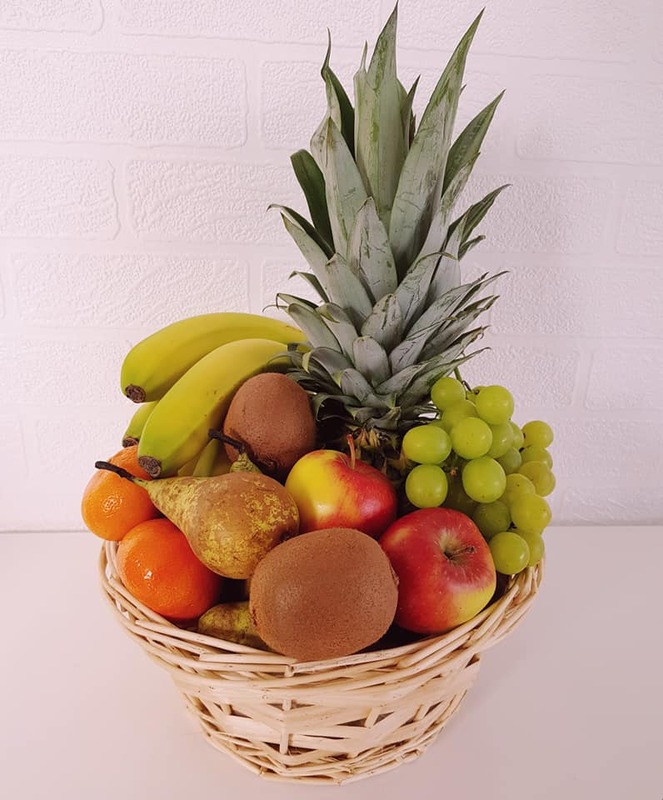 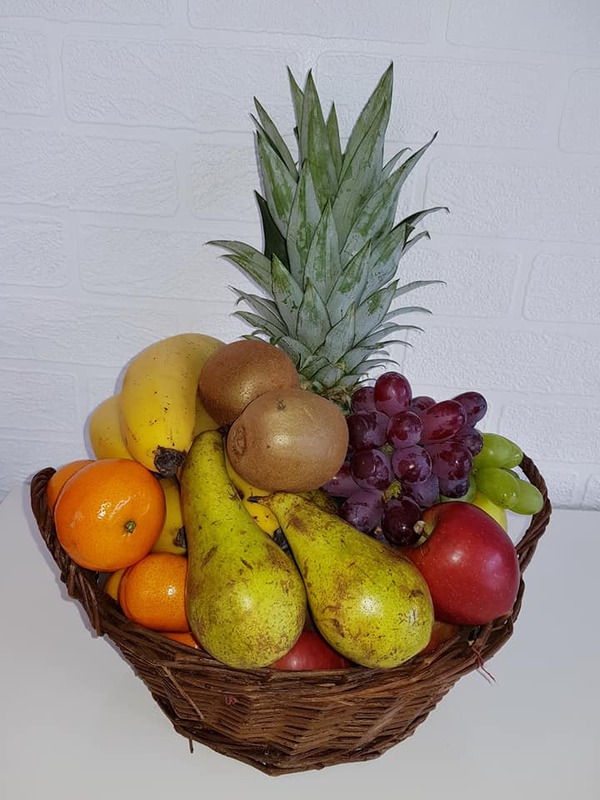 A traditional wicker basket filled with fresh fruit such as apples, oranges, pears, bananas, grapes, kiwi and pineapple. 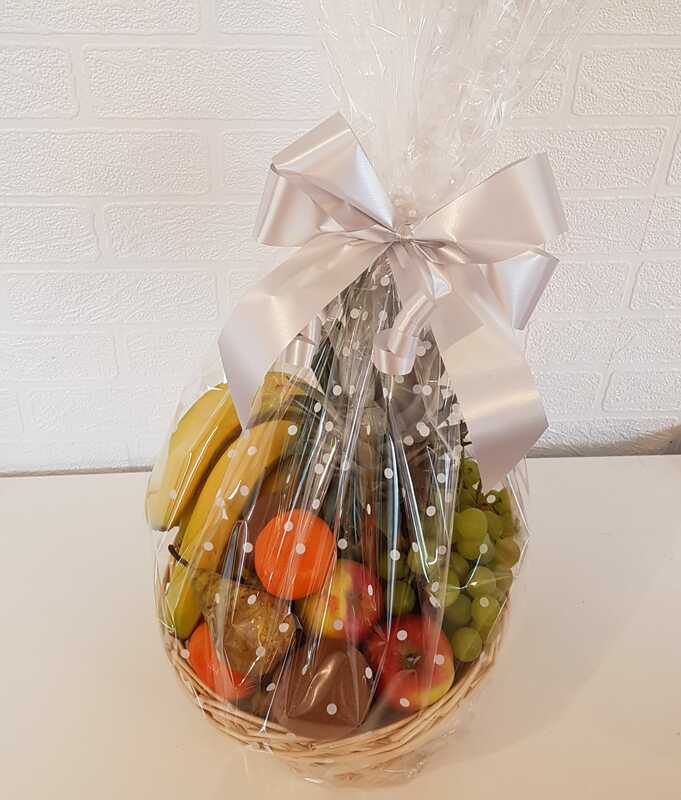 Great as a get well soon gift or to be shared out. 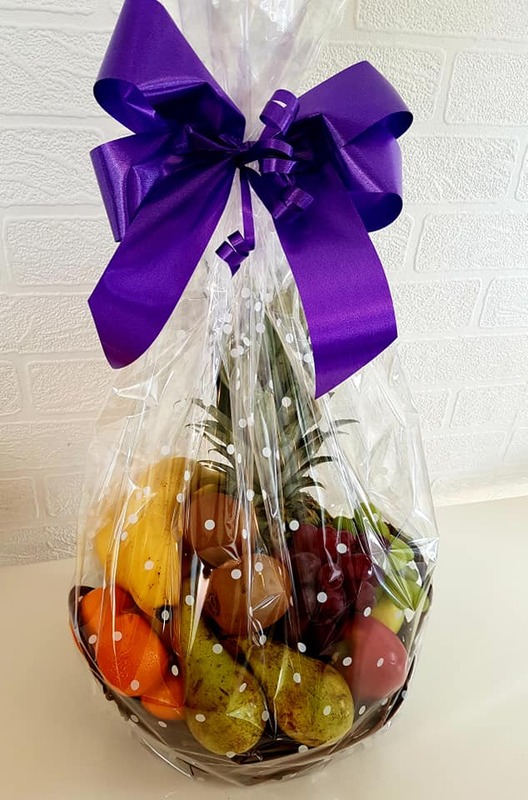 Comes gift wrapped in cellophane with a bow.